Andrew D. Mason, commonly known as Andrew Mason, is a famous American entrepreneur. To the public, Andrew Mason is perhaps best known for establishing the website called “Groupon”, which specializes in the distribution of discounted gift certificates. The website was established in 2008 with the help of Eric Lefkofsky, who encouraged Mason to expand his idea, as well as financially contributing to it. Over the years, the company has managed to maintain approximately 35 million registered users on its website. “Groupon” has been working with 150 markets in the United States alone, as it provided deal-of-the-day offers to its clients. Initially, the company seemed to be a major success, exceeding $1.35 billion in value in 2010. However, “Groupon” was accused of violating gift certificate expiration laws, and even had a lawsuit filed against them. That same year, in 2011, the company lost $9.8 million on an adjusted basis, which caused many investors to be concerned about the company and its future. 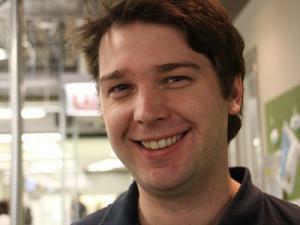 Andrew Mason served as the CEO of the company from 2008, yet he was dismissed from his position in 2013 due to the fact that “Groupon” failed to reach expected sales. A well-known businessman, how rich is Andrew Mason? According to sources, Andrew Mason’s net worth is estimated to be $230 million, the majority of which he has accumulated through his contributions to “Groupon”, as well as other business ventures. Andrew Mason was born in 1980, in Pennsylvania, United States. Mason studied at the Mt. Lebanon High School, and attended the Bienen School of Music. He also studied at the Northwestern University, from which he graduated with a Bachelor of Arts degree in Music in 2003. Upon his graduation, Mason took up a job at Eric Lefkofsky’s company, yet he eventually quit in order to continue his studies at the Harris School of Public Policy. Mason failed to secure his MA degree, as he left the university shortly after applying for it. Instead, he landed a job at “Electrical Audio” recording facility, where he had an opportunity to work for the well-known singer, songwriter and record producer Steve Albini. Mason then got a job at Lefkofksy’s firm called “InnerWorkings”. In addition to that, Lefkofsky funded Mason’s internet business venture “Groupon”, for which he became most notable. Even though the company had a lot of success at the beginning, its earnings started to diminish later on. By the end of 2012, the company’s situation was so poor that Andrew Mason was regarded as the “Worst CEO of the Year”, which eventually resulted in his dismissal from “Groupon” in 2013. Later that same year, Mason came out with his first studio album entitled “Hardly Workin’”, which received rather favorable reviews from critics. Don Gehman, who has worked with such artists as John Mellencamp and R.E.M., served as the producer on the album. Very little is known in regards to Andrew Mason’s personal life. According to sources, Mason is currently married to Jenny Gillespie, a singer notable for such albums as “Kindred”, “Light Year” and “Hydra”.